Black Raiders remain unbeaten with KVAC B win over Huskies. 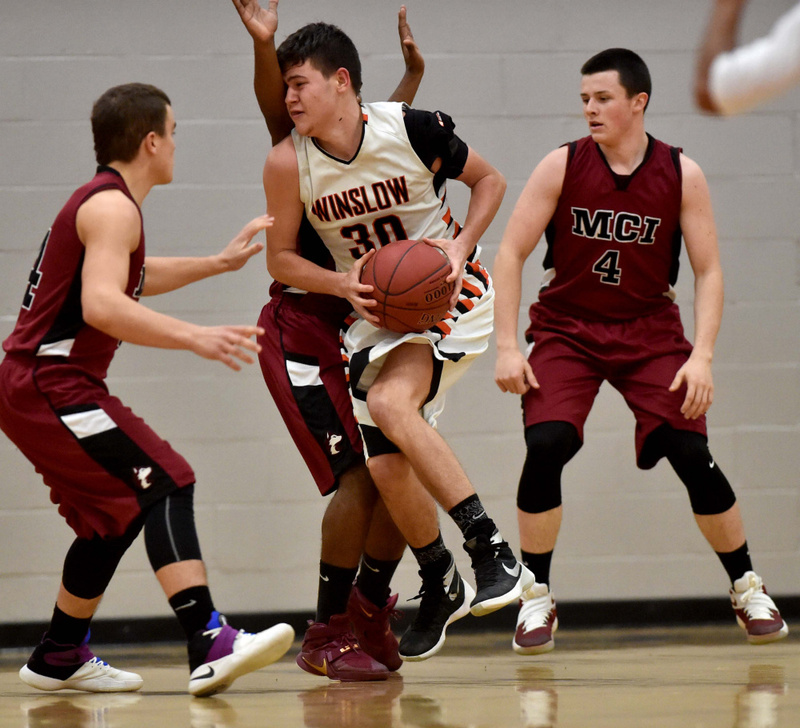 WINSLOW — With just over three and a half minutes left in the game, Winslow High School guard Keanu Earle dribbled in place near the top of the 3-point line, signaling his teammates to settle down. 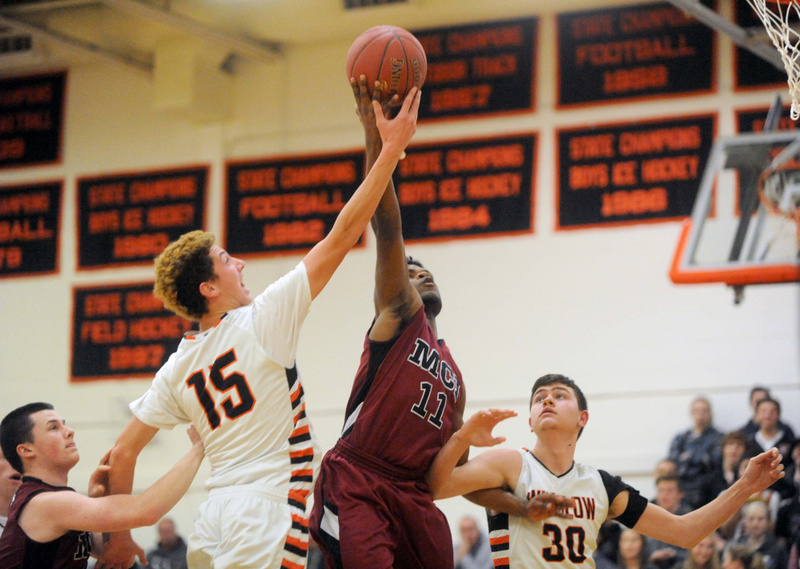 With the Black Raiders refocused, Earle dribbled to his left, and with Maine Central Institute defenders sagging off him, nailed a long 3-pointer. 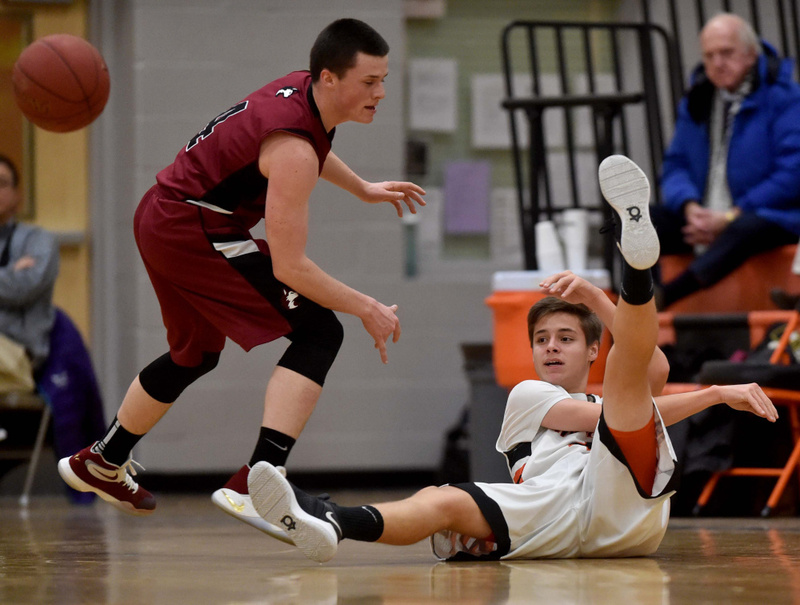 The shot pushed Winslow’s lead to 10 points and was a key to the fourth quarter run that gave the Black Raiders a 58-52 Kennebec Valley Athletic Conference Class B boys basketball win Tuesday. Winslow is now 2-0, while MCI is 0-2. This game was tied 19-19 after a sloppy first half in which the teams combined for 19 turnovers. The Black Raiders began to dictate the tempo in the second half. When Winslow was able to run, it was able to take control of the game. A 12-2 Winslow run capped by an Earle layup gave the Black Raiders a 35-25 lead with three minutes left in the third quarter. “The first half, we came out slow. We let them control the pace of the game. The second half, we kind of picked it up,” Earle, who scored 15 of his game-high 20 points in the second half, said. A Pedro Matos (10 points) layup with 6:15 to play pulled the Huskies to within three points, 38-35, but the Black Raiders pulled away again, pushing the lead back to double figures minutes later on Earle’s big 3-pointer, his fourth of the game. 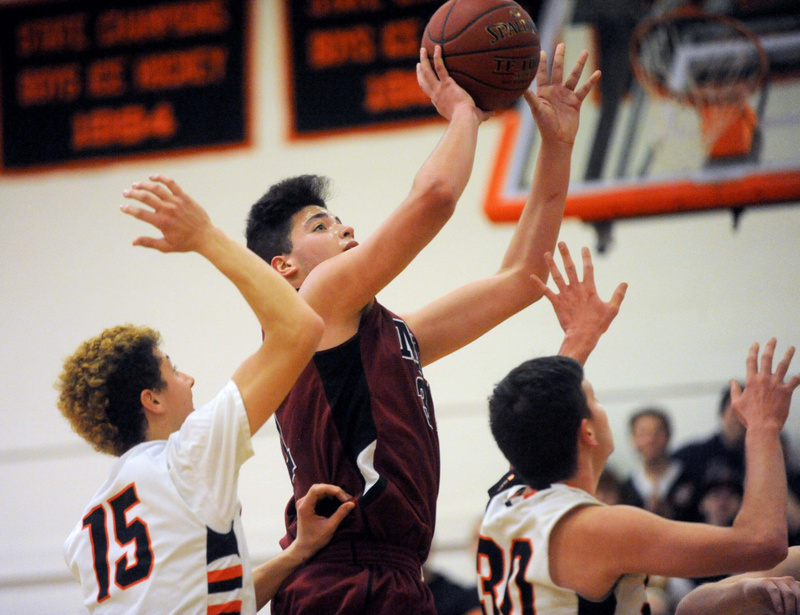 Sophomore big man Jose Valverde led the Huskies with 16 points. Winslow put the game away at the line. Earle and Michael Wildes combined to make 9 of 10 free throws in the final two minutes to score the Black Raiders final nine points. “That’s what we end practice with every day, hitting free throws. It’s something we take pride in,” Earle said.